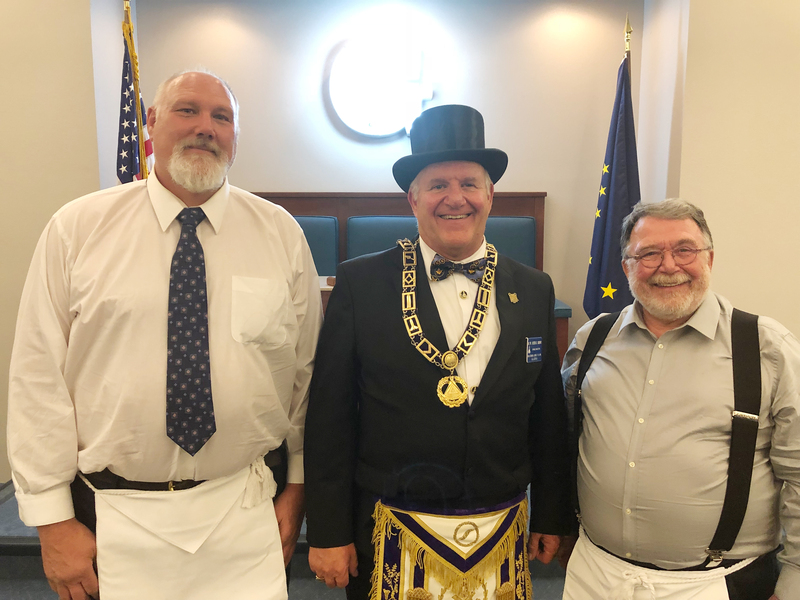 Bros. Jim Cartmill, left, and Richard Marshall, right, were raised to the Sublime Degree of Master Mason on Oct. 6, 2018 at a one-day class in Anchorage. Glacier Lodge No. 10 performed the courtesy work.